California Republicans (yes, there are a few, we think), your leader has arrived. 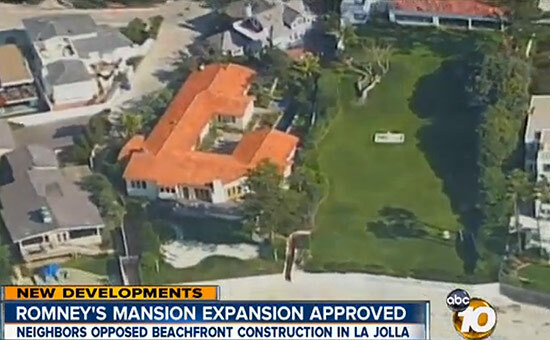 After a multiyear battle, Mitt Romney has finally gotten permission to tear down their existing beachfront house and build an 11,000-square-foot mansion in La Jolla. Although it was approved in 2008 by the California Coastal Commission, neighbors were able to stymie the project—questioning whether it exceeded square footage allowances—until commissioners upheld their approval. According to the Los Angeles Times, the home is more than four times larger than the median house in the area. (As is this house by Zaha Hadid also planned for La Jolla.) It’s proof that Mitt truly loves the earth. And exploiting resources on top of it. Beyond the Assignment: Defining Photos of Architecture and Design Julius Shulman Institute 7500 Glenoaks Boulevard, Burbank, CA Through November 1 Beyond the Assignment celebrates the work of ten of today’s leading architectural photographers in the United States who draw inspiration from their image-making predecessors, such as Julius Shulman and Ezra Stoller. The exhibition, curated by Bilyana Dimitrova, is being showcased at the Woodbury University Hollywood Gallery, and will be running from October 5 to November 1. Our experience of architecture is so often shaped by the photographers who document it. These photographers move “beyond the assignment,” helping to immortalize and define architecture and the built environment. Beyond the Assignment pays homage to this fact, casting a spotlight on an art form of great power that is too often overlooked. Featured photographers include Peter Aaron, Bilyana Dimitrova, Joe Fletcher, Timothy Hursley, Alan Karchmer, Jon Miller/Hedrich Blessing, Tim Street-Porter, Undine Prohl, Paul Warchol, and Lara Swimmer. Last Thursday in his keynote address to the Transit Oriented Los Angeles conference, Los Angeles Mayor Eric Garcetti announced the creation of the "Great Streets Initiative." In an executive directive—his first since taking office on June 30—Garcetti outlined a program that "will focus on developing streets that activate the public realm, provide economic revitalization, and support great neighborhoods." Garcetti defined "great streets" as accessible and walkable, with landscaping, shade, larger sidewalks, improved storm water drainage and green features. 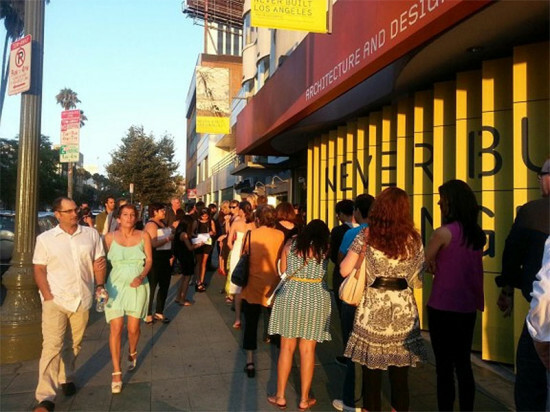 Turning to aesthetics, Garcetti said simply: "design matters." Los Angeles' streets should make room for sculptures and murals, and not just functional components, he argued. The "Great Streets Working Group" will direct the initiative. Led by Garcetti's Deputy Mayor of City Services, the gathering will include representatives of Departments of Planning, Cultural Affairs, Transportation, and Economic & Workforce Development, plus the Department of Public Works's Bureaus of Engineering, Street Services, Street Lighting, and Sanitation. Their first task will be to develop a plan in which 40 streets are identified for upgrades. 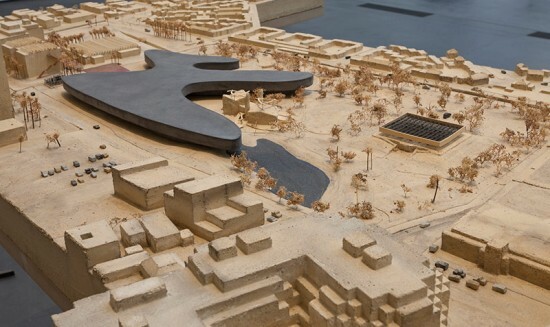 Peter Zumthor’s design for a new central building at LACMA has some experts concerned with its environmental effects. Critics including John Harris, chief curator of the National History Museum’s Page Museum, worry that the project could disrupt the La Brea tar pits, the same ecological features that inspired the building’s blob-like shape. At a meeting last month the county Board of Supervisors voted 4-0 to request a presentation from the Page Museum fleshing out the curator’s concerns. That presentation has not yet been scheduled, according to the Page Museum’s press office. If Harris’s hunch proves correct, the LACMA redesign would join a long list of local architectural-environmental disasters, stretching back decades, to the earliest days of European settlement. For instance, Los Angeles Aqueduct had drained Owens Lake by 1924, and in 1941 began diverting water from Mono Lake. Only last month did the city of Los Angeles and other parties including conservationists reached a tentative settlement that would repair some of the damage done to Mono Lake. So without further ado, below is our list of some of the most significant environmental catastrophes (and near-catastrophes) in LA history. We hope LACMA's issues will be addressed, and that it won't be added to this list: Beginning in the early twentieth century, Los Angeles’s 14,000 acres of wetlands were filled in to make way for tony residential developments like Marina del Rey, dedicated in 1965. An earlier suburban enclave, Surfridge (part of Playa del Rey, developed in 1921 by Dickinson & Gillespie Co.), wiped out 300 acres of sand dunes that were home to the El Segundo Blue Butterfly, an endangered species. When LAX was built in the early 1960s, the airport took over Surfridge and razed the homes there—but not to restore the dunes. Instead, airport authorities bought the neighborhood to appease residents complaining of noise pollution and fenced it off without touching the dunes. Restoration would take another three decades to initiate and is ongoing today. On March 24, 1985, a methane gas leak caused a massive explosion in a Ross Dress-For-Less Department store in the Wilshire-Fairfax District of Los Angeles. Though the cause of the explosion remains the subject of debate, two Stanford professors argued in a 1992 paper that it was a product of hydraulic fracturing, or fracking, a technique that is once again being debated in the city. In any case, the disaster prompted Rep. Henry Waxman’s (D-CA) ban on tunneling under Wilshire Boulevard, which in turn rerouted the subway’s Red Line. 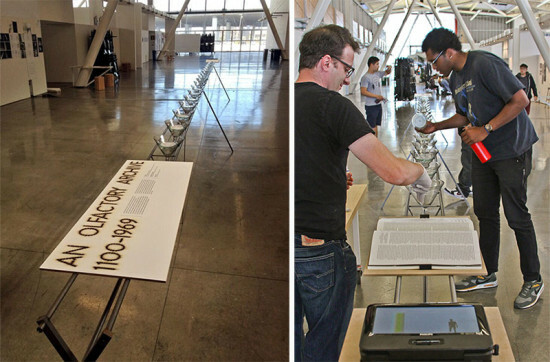 In recent years, Playa Vista, a giant development located just south of Marina del Rey, has been the site of a high-profile contest between architecture and ecology. The original plan for Playa Vista, initiated by Howard Hughes’ heirs after his death, would have destroyed 94 percent of the Ballona wetlands’ remaining acreage. After the plan was approved, the Friends of Ballona Wetlands filed a lawsuit. Following a period of inaction, the development was sold to Maguire Thomas Partners in 1990. The new developers agreed to rededicate a portion of the land to conservation and pay millions for restoration. 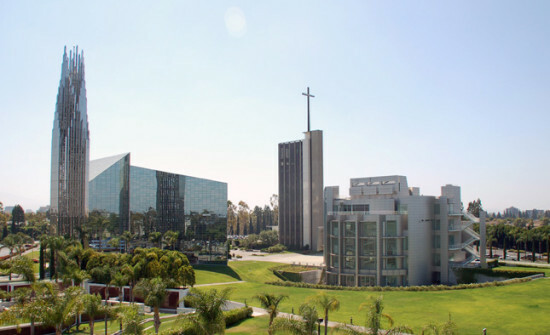 Rounding out the list is the infamous Belmont Learning Center, now known as the Edward R. Roybal Learning Center. The high school, the nation’s most expensive at over $400 million, was built on top of the Los Angeles City Oil Field. Concerns over methane gas below the site resulted in an almost 20-year delay in the building process. The revision of state and local policy regarding school construction, and the installation of a $17 million gas-mitigation system, allowed construction to go forward, with a completely new architectural plan. Operating the system costs the school, which finally opened in 2008, between $250,000 and $500,000 annually. In recent years several proposals have been floated for freeway cap parks in Los Angeles with barely any traction. Until now. On Friday LA City Council voted to have various city departments (including planning and engineering) partner with nonprofit Friends of Park 101 to raise funds for a park that would bridge the 101 Freeway, connecting Downtown's Civic Center with Olvera Street and Union Station. Possible grants could come from local, state, and federal sources. It's still a long way from happening, but this is a big deal. Friends of the Hollywood Central Park have created a function on their web site where users can design their own cap park, but if Park 101 gets some of these funds we could be building a park downtown for real. 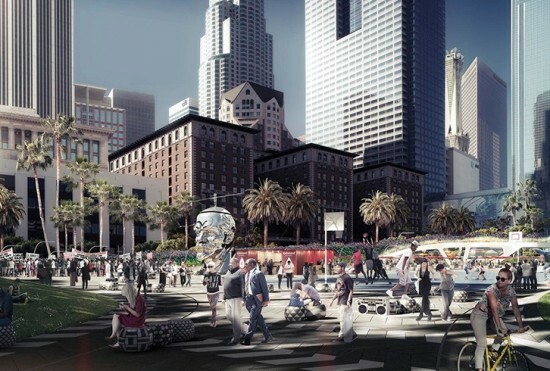 Last week Los Angeles councilman, Jose Huizar, announced the formation of a 21-member task force to help re-imagine Pershing Square, the beleaguered central park in the middle of downtown. 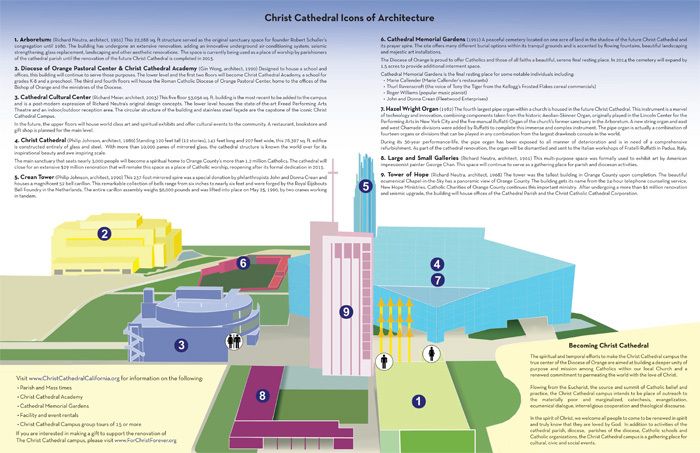 The group includes local residents, design and architecture experts, business people, and government officials. Huizar said he hoped they could bring "a wide-range of ideas and perspectives to the discussion." They'll also have to develop an agenda and a timeline, and figure out how to fund the project. 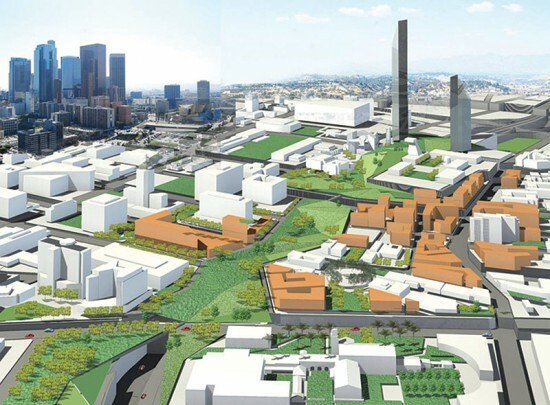 One possible funding source could be seed money from downtown developments' community benefits funds, according to Huizar's planning director, Tanner Blackman. To help get the discussion going (and shed light on the square's possibilities) Gensler shared its ideas for the square, developed over the last year has as part of its year-long company-wide "Town Square" research and design project. 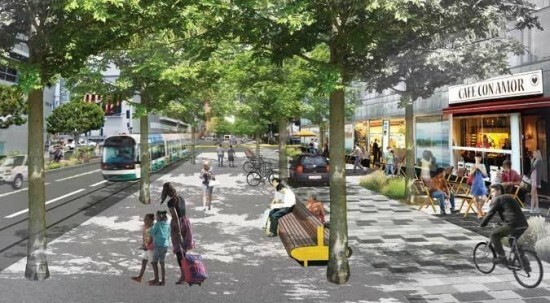 The ambitious goal: to "reconsider the role of public open space in cities." Their studies weighed a dizzying amount of data informing a possible redesign. Who knew there could be so many uses and designs for a park? And who knew that the current iteration could be so out of sync with what's around it. 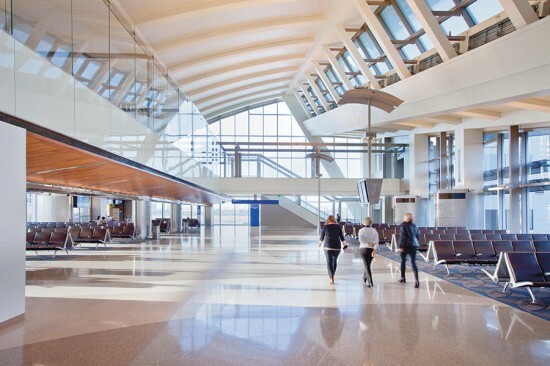 (Well actually, we did know that...) "It's a starting point," said Gensler principal Li Wen. "We'd love to test this model with the park's stakeholders," added associate Brian Glodney. That could be a while off, and there's no telling who will be selected to lead the eventual redesign. But regardless of what direction the square takes one thing is for sure: Gensler has a head start on the competition. Finally. 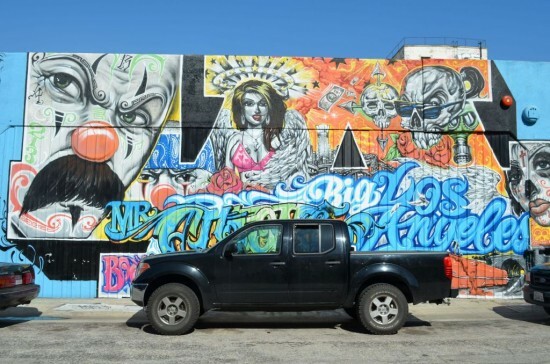 Los Angeles' City Council on Wednesday passed a new mural ordinance, legalizing murals on private buildings after a decade of banning them. 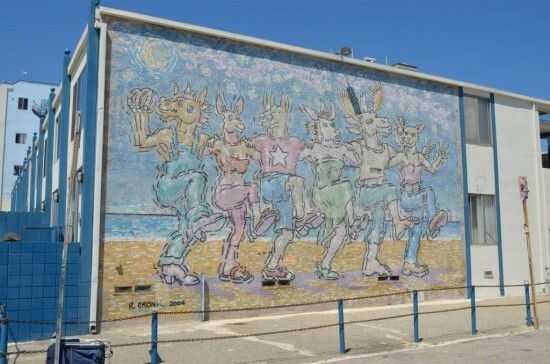 Of course would-be public artists still have to go through an extensive permitting process, and pay a$60 fee, but if they're persistent they can finally go crazy. That is, as long as their murals don't contain commercial messages. "It’s a big victory and we’re thrilled," said Isabel Rojas-Williams, executive director of the Mural Conservancy of Los Angeles. 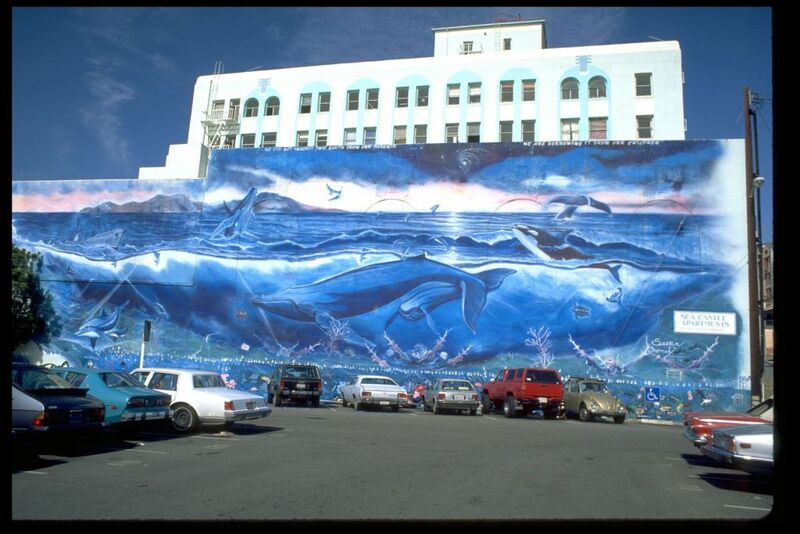 The group has been protecting the city's murals and muralists since 1987. 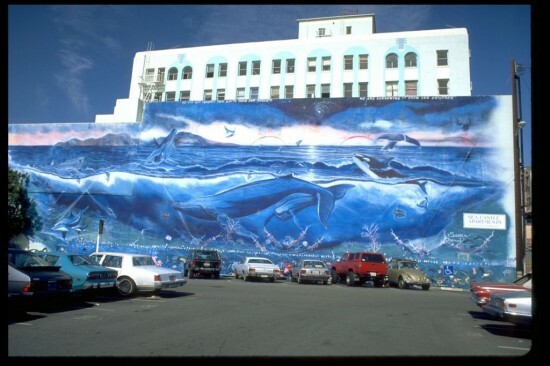 "Despite the recent restrictions, the city has remained one of the country's mural capitals." Don't believe us? Behold a selection below of our favorite (finally-sanctioned) murals from around the City of Angels, courtesy of the Mural Conservancy. 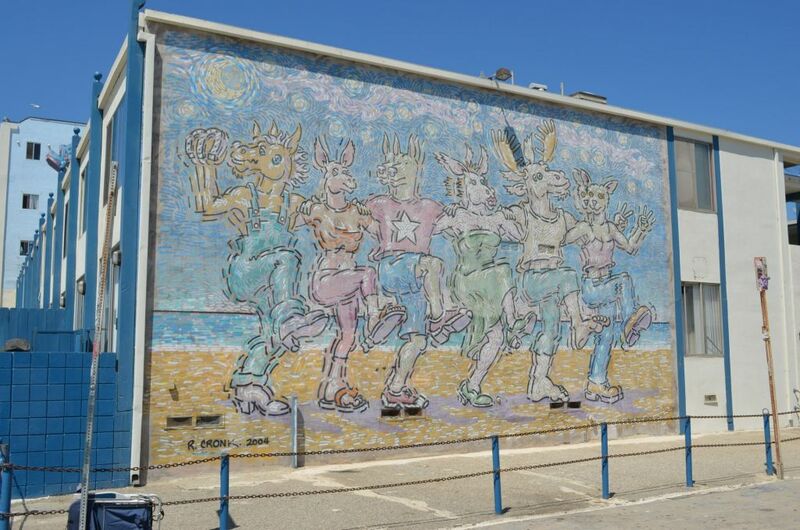 They range from political to historical to street art / graffiti, to, well...the undefinable.